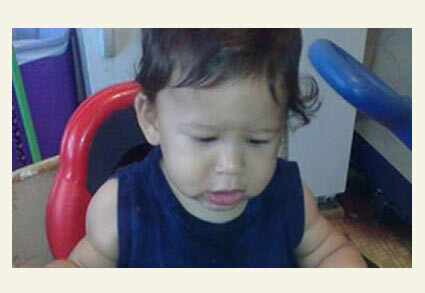 James Hudson, 10-months old, was mauled to death by a family pit bull-mix. UPDATE 09/14/12: The dog that attacked and killed 10-month old James Hudson has been euthanized. Hertford Police Chief Douglas Freeman Jr. told The Virginia-Pilot on Friday that he has concluded an investigation into the boy's death and plans to meet with District Attorney Frank Parrish on Monday to determine whether to press charges. Freeman also added that despite conflicting reports, he and others he has consulted believe the dog was a pit bull-mix. WAVY.com reports that Hertford police officers were dispatched to the home on West Railroad Street Tuesday evening after a report of a child not breathing due to an animal bite. 10-month old James Hudson was taken to Albemarle Hospital in Elizabeth City where he later died from his injuries. According to Hertford Police Chief Douglas Freeman, Jr., the initial investigation shows the family's pit bull-mix attacked the child while under the care of the baby's grandmother. An article from the Virginia-Pilot identifies the grandmother as Terry Atkinsson. The dog had previously bitten an older boy in the home in a separate incident. James Thatch who lives and works in the neighborhood said he knows the family and the dog. No long ago, Thatch was mowing the grass at a house next door when the dog pulled at its leash aggressively trying to get at him. 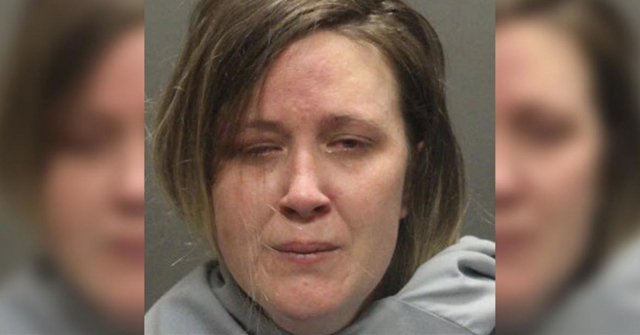 "The woman [the child's mother] was barely able to hold him back," Thatch said. WVEC.com confirms that a 10-month old child was attacked and killed by a family pit bull-mix dog while under the care of his grandmother at her home on West Railroad Street. The grandmother was also bitten during the attack trying to save the child. Local and county authorities continue their investigation. Findings of the investigation will be turned over to the Perquimans County Department of Social Services and the District Attorney's office for possible further action. Hertford, NC - In a developing story, The Daily Advance, a "walled off" newspaper, reports that a 10-month old boy was killed Tuesday when a pit bull attacked him while under the care of his grandmother. DogsBite.org will be watching for additional new stories, as sending users to this type publication lies outside of our mission of a public education website. Persons with additional information in the Hertford area, please send email to info --at-- dogsbite.org. 1Though it seems to be Tri-County Animal Shelter Director Dana Goheen. The Daily Advance reports that Goheen became the director in June of this year. 01/19/12: 2012 Dog Bite Fatality: Baby Boy Killed by Family Pit Bull in Montgomery Co. Build the coffin stack higher. 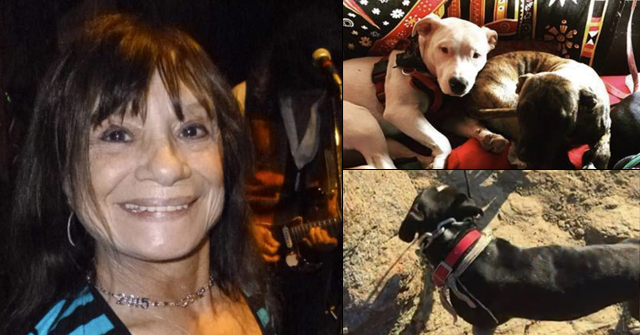 The grandmother's boyfriend speaks on the video: "everybody should just love your kids…tell them you love them and always be cautious around dogs"…but he doesn't say if the Pit Bull Mix was owned by him ! How can you be cautions when the dog is licking the baby one minute and killing it in the next second? More info from the Virginia Pilot as well: "Not long ago, Thatch was mowing grass at the house next door when the dog pulled at its leash aggressively trying to get at him. The woman was barely able to hold him back, he said." My guess is charges are on the way! I am so sorry for this baby. The blog owners is certainly being kept busy more and more with these stories. When will people finally get it that you can't love genetics out of an animal? My husband, just moments ago, before I read this newest story,was trying to fathom if someone thought they could love out a bloodhounds instinct to trail and why they could not get that concept in regards to pit bulls. Criminal charges are whats called for, as this was no accident. "How can you be cautions when the dog is licking the baby one minute and killing it in the next second?" Exactly. unpredictability is the watchword. "Criminal charges are whats called for, as this was no accident." An American bulldog isn't a pit bull — what a joke. Less funny is the pit-nutter joke on so many parents, about how pit bulls only lick babies to death. They'll likely be laughing secretly on their forums at how stupid these parents were not to understand the code language: that it's the death kiss of the pit bull their joke is referring to. This wasn't an accident, but then it never is when a pittype dog mauls, maims, dismembers and/or kills. 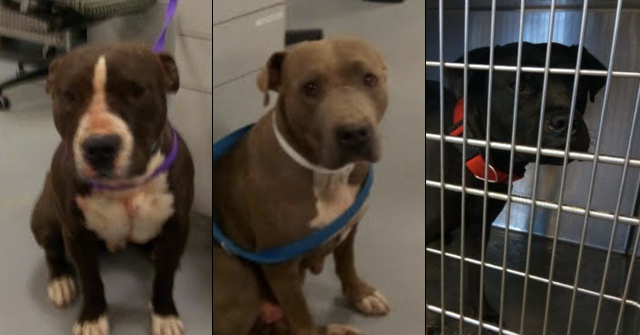 The Carolinas tolerate Dog fighting and Pit Breeding…However, they normally, go after the Pit-perp with Manslaughter charges after the fact..
Too bad they couldn't prevent these unfortunate instances. I get sick seeing photos of beautiful children that have been killed by these frightful animals. How can a pit bull lover ignore this? What is wrong with these people? 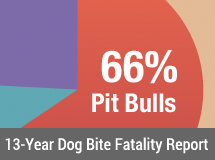 @BanTheBull: Pit bull lovers ignore the carnage for one simple reason. And that reason is that they have no empathy whatsoever. None. Understand that, and you'll go a long way toward seeing why pit bull lovers react the way they do. Any injury or death that their chosen type of dog causes is the victim's fault.